Having now brewed a couple of all grain beers I thought I should find out a bit more about what I should be doing and why I do certain things so I picked up this book that I had seen referred to in many places from the local library. "How to Brew: Everything You Need To Know To Brew Beer Right The First Time" by John J. Palmer is a superb book about brewing beer. It explains the basics (from kit brewing to extract to all grain), gets quite scientific and provides a number of recipes. 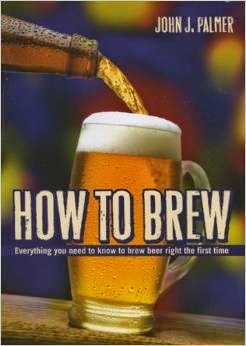 For an absolute beginner of brewing this book may be a bit overwhelming. As somebody who has brewed many kits and recently got into all grain brewing (with Brew In A Bag) I found the book to be superb.